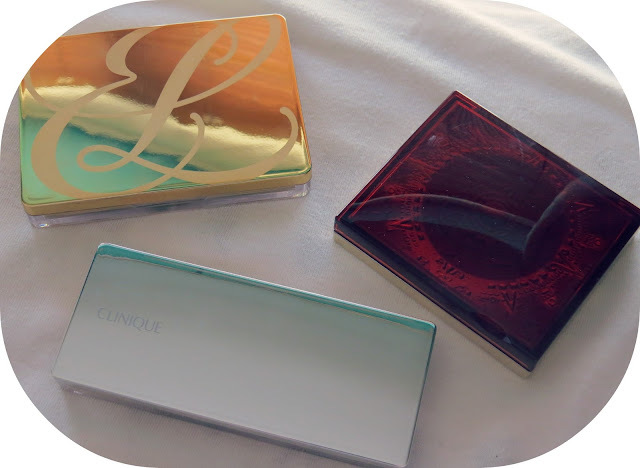 My Top 3 Eyeshadow Palettes for Summer 2013. I'm currently going through a major eyeshadow palette obsession, I must admit. Between the colour combinations, versatility and the snazzy packaging - I'm head over heels for 'em. 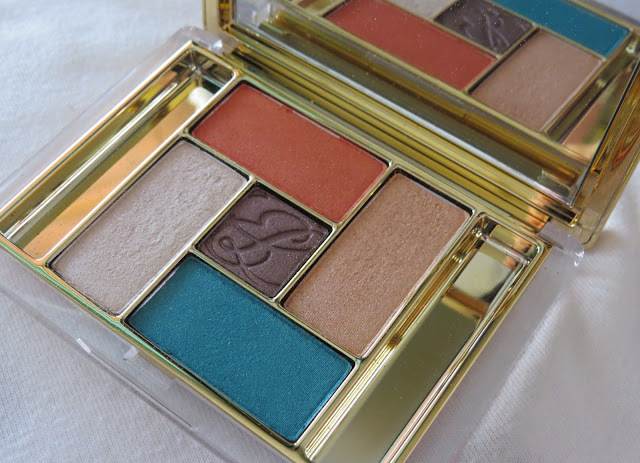 This Summer in particular, I've reached for these palettes more than any others in my stash; Estée Lauder's 'Beach Goddess' palette, Clarins' 'Splendours' palette and Clinque's Colour Surge palette in 'Teddy Bear'. I was kindly sent over this beauty as my first ever Estée Lauder sample to try out - believe it or not, it's actually my first Estée Lauder product to EVER own! I was instantly impressed. 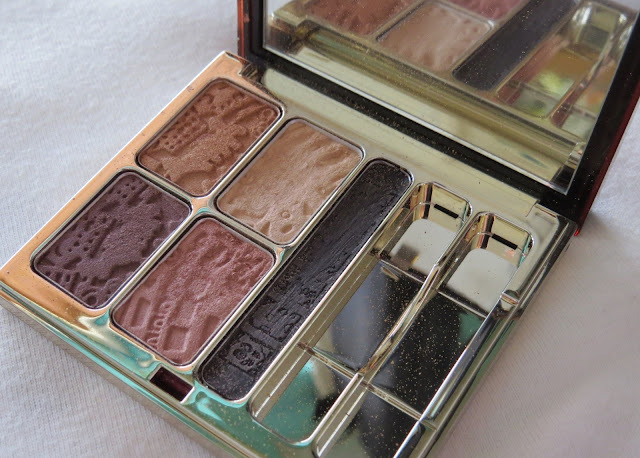 The palette itself is chic and sturdy, but the eyeshadows inside are really the show-stopper! I nearly died when I first opened it; paprika, turquoise, plummy-brown, gold and pearly-white shadows stood before me. What more do I need in life, I asked!? In all seriousness though, this is literally my ideal Summer palette. 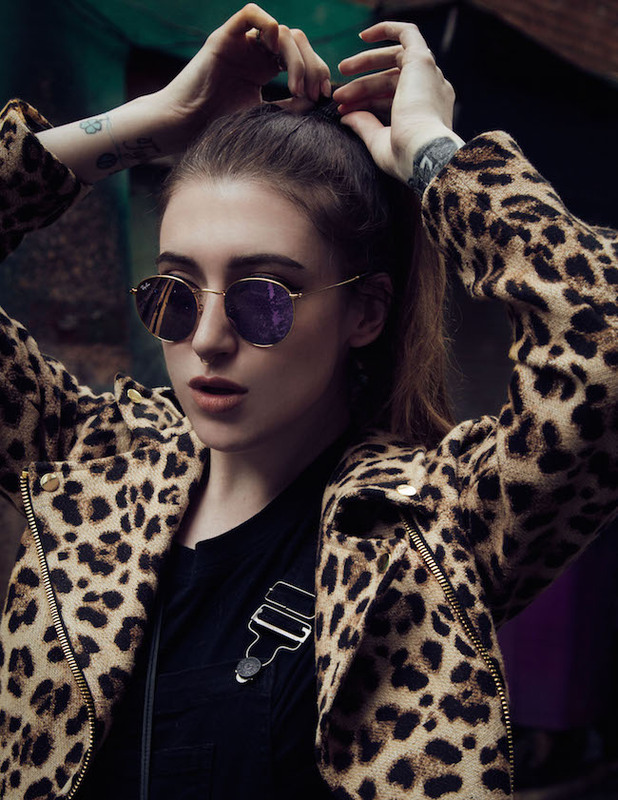 I've everything I want in it for a regular bronze or brown smokey eye, if I was to turn things up a bit I can combine the turquoise and paprika shades for the ultimate festival pop. Each shadow is highly pigmented and easy to blend. All of the shadows lasted in the searing heat over in Manchester at Parklife Festival last weekend (with a primer worn underneath) and they looked just as good as when I initially applied them in the morning. I genuinely have nothing bad to say about this palette at all - the price-tag scared me at first, but I've used it more or less on a daily basis since receiving it, so cost-per-wear is definitely adding up. 10/10! We're all quite aware of my love for Clarins at this stage, I'm sure. Whilst nothing will ever beat my love for their Christmas 'Odyssey' palette from last year, this guy made me fall head over heels for the brand - for the 9,000th time. Not only do you get four amazing shadows in the palette, but you also get a gel liner too. The shadows and liner are printed with a stunning mosaic-like designs and symbols, which you obviously can't see very well below, because I've used this palette a gazillion times already. The shadow shades are absolutely beautiful; a deep-golden copper, a pink-gold highlight, a rich plummy-brown and a stunning rose-gold brown (my favourite). As with most Clarins eyeshadows, they're all extremely pigmented, creamy and so easy to work with. You can apply them wet or dry, wet giving the best effect for the copper shadow in particular (M.A.C's Fix+ works a treat)! The liner is fantastic, easy to build up for a dramatic line or to blend and buff out to create smokiness. This is perfect for those of you looking for a palette to bring on holidays this year - the shades will work on everyone and anyone, and I promise you won't be disappointed. I received this gorgeous Clinique palette as a birthday gift back in April, and it has been my go-to matte palette ever since. Some days I just don't feel like slapping shimmer on my face and prefer to go all-matte - especially during Summer, oddly enough. 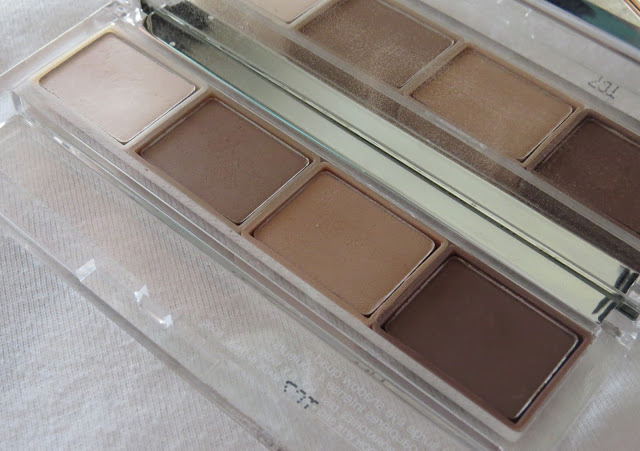 The palette shades include a soft cream (it matches my skintone to a T) and three browns. They're fantastic to use for everyday makeup looks and are great for bring with on your travels; I've used the dark brown for my brows and the medium brown as a soft contour powder before, and they work really well. This would be great for you if you're looking for a palette that'll suit you for on to go, work, school or if you're a 'no-makeup makeup' kinda gal. It's simple and compact, and takes up barely any room in your makeup bag. What's not to love? For a closer look at the shadow swatches, click on the photo below! What is your go-to palette for Summer '13? Tried any of the above?